Today is April 24, 2019. Welcome to Sangeet Bhuvan - one of the largest Music portals of Old Bengali Songs & Rabindra Sangeet, and the largest ever repository of the Songs playbacked by Hemanta Mukherjee ( The doyen of Bengali & Hindi Music ), the Legendary Singer, Music Composer and one of the foremost exponents of Rabindra Sangeet. As a valued listener of the higher caliber vis-a-vis the Old Bengali Songs, Rabindra Sangeet & Old Hindi Film Songs, you have the priviledge to listen to over 857 songs added to the site. Barring the "Free Song of Today" and "Listen Free Songs" section, you need to sign up for a free listener account and then log in to listen to all the existing songs and the many more songs to be added in the foreseeable future. September 21, 2018 marks the 17th Founding Anniversary of Sangeet Bhuvan Website. It was on this day 17 years ago that Sangeet Bhuvan website had made its sojourn in the Internet to delight and regale the online listeners with unforgettable, nostalgic Old Bengali Songs & Hindi Songs and Rabindra Sangeet. 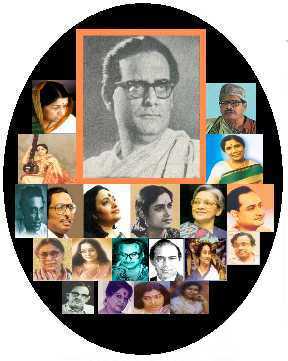 Just from a humble beginning, Sangeet Bhuvan has managed to become one of the most favorite and unparalleled Music Sites in the domain of Old Bengali & Hindi Film Songs of Golden Bygone Days, Rabindra & Nazrul Sangeet and therefore has become one of the largest ( if not the largest ever ) repository of Hemanta Mukherjee's Songs in Bengali and Hindi by presenting over 857 songs. September 26, 2018 marks the 29th death Anniversary of Hemanta Mukhopadhyay ( the Legendary Singer, Music Composer ). Though another year has gone by, still Hemanta Mukherjee - who left the innumerable music fans 29 years ago - reverberates and will continue to reverberate with the music connoisseur with his dulcet melody. Like the last couple of years, Sangeet Bhuvan pays glowing tribute to this Legendary Singer, Music Composer. Appreciation of Hemanta Mukherjee : Two of the best ever adulations showered upon Hemanta came from Salil Chowdhury and Lata Mangeshkar. Salil Chowdhury - dubbed as one of the best and the most versatile multilingual music composers of all time was often quoted as saying that if God were to sing, He would have sung the way Hemanta Da used to sing. Lata Mangeshkar, the melody queen and the nightingale of India commented that while listening to Hemanta Da, it would seem to her as if a saint were singing inside a Temple. She further commented that Hemanta Da was not only a fabulous singer, but also a great composer of unsurpassable talents and that his music was blended with the music of Rabindra Sangeet, Bengali Folk songs, the regional music elements of Assam and Bengal and Classical and Devotional Songs. Singers of the stature of Hemanta Mukherjee are not born so often. During his over 56 years of music career, he mesmerized the listeners with his magical voice. Abhijit Bandyopadhyay - the noted lyricist and music composer of many memorable Bangla Songs - was quoted as saying that so many great singers have come. But Hemanta Mukherje continues and will continue to remain as the Emperoror of Bengali Music. Bengali Film Director Aravinda Mukherjee was quoted as saying that though the music composition of Hemanta Mukherjee was simple, but it was replete with melody and magical touch stone. He further said, There was a great interconnection and understanding between Hemanta Mukherjee and the celebrated Bengali lyricist Gauri Prasanna Mazumdar. 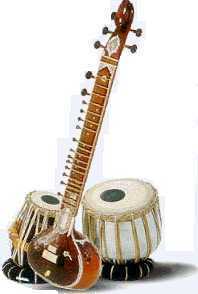 Just after Gaurida has completed writing the lyrics, Hemantada would right away compose the music, playing the Harmonium. According to him, Hemanta Mukherjee used to put priority to the melody. If there is no melody, the song will lose its luster.